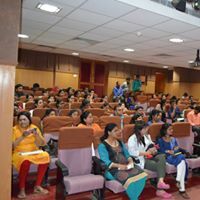 KCIAPM interactive slide seminar held on February 18, 2017 at Seminar Hall (5th Floor) Anand Diagnostic Laboratory, Bangalore. The academic program hosted by ADL. 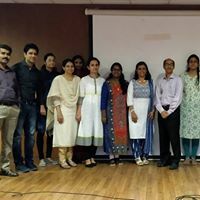 The 3rd KCIAPM interactive slide seminar for the year 2018 was hosted by RV Metropolis Diagnostic and Healthcare Center Pvt. 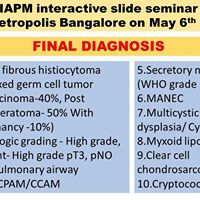 Ltd., Bangalore on Sunday, the 6th of May, 2018 at MS Ramaiah Memorial Hospital, Basement Auditorium, Bangalore. Ten histopathology cases of interest were chosen from the archives of RV Metropolis, comprising of cases from soft tissue, bone, male genital tract, gastrointestinal tract, respiratory system, central nervous system, renal system and skin. Forty sets each of H&E stained slides were prepared and distributed to all the Medical Colleges across Karnataka and responses were sought. 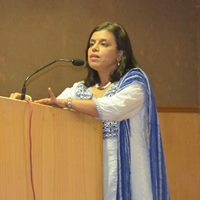 The event began at 9:30 am with the welcome address by Dr. Vijayshankar, Secretary of KCIAPM. 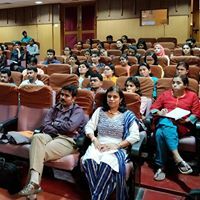 Ten post-graduate students from previously allotted medical colleges, presented the microscopic findings and diagnosis of each of these cases. 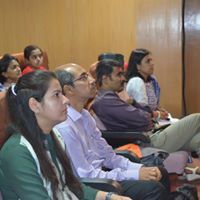 The cases were moderated by senior pathologists of RV Metropolis Dr Vani Ravikumar and Dr Santosh KV. 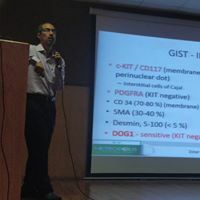 Each presentation by the student was followed by a detailed discussion, approach to diagnosis and differential diagnosis – by the moderators. The students were objectively assessed and a cash prize and certificate were awarded to the best presenter at the end of the event. 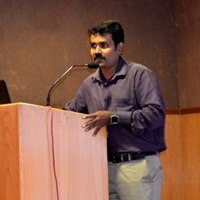 In addition, the cases were interspersed with exciting gross photographs of cases from RV Metropolis for spot diagnosis by the audience. 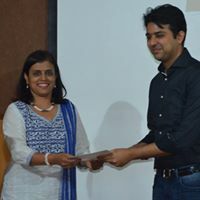 The proud recipient of the best presentation was Dr. Divakar Sharma, from Kidwai Memorial Institute of Oncology, Bangalore. 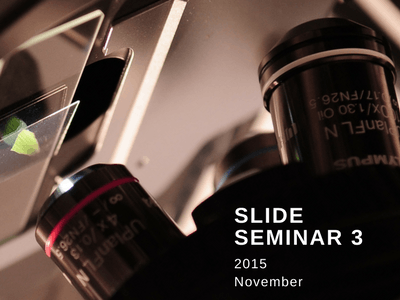 The seminar was well attended by about 70 delegates. The event concluded at 1 pm with the vote of thanks.